Taking a leaf out of Bharatiya Janata Party (BJP) plan, Congress President Rahul Gandhi on Monday played a masterstroke by announcing minimum income for poor people. “The Congress has decided to take a historic decision... 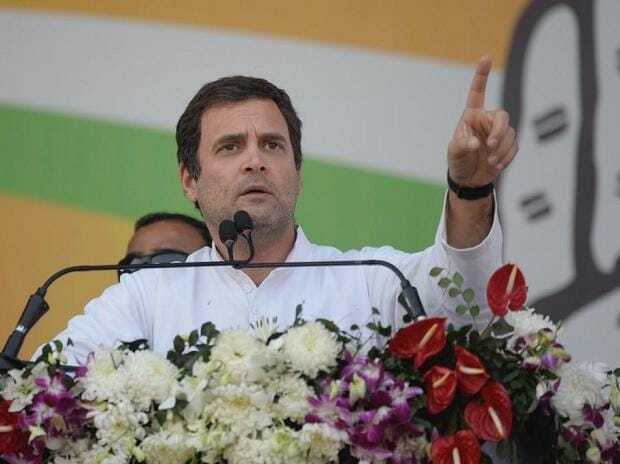 If voted to power in 2019, the Congress-led government is committed to a minimum income guarantee for every poor person, to help eradicate poverty and hunger," Rahul Gandhi said at a farmers' rally in Raipur Monday evening. The Congress President said, "We cannot build a new India while millions of our brothers and sisters suffer the scourge of poverty. We have now taken a step that no government has taken before. This meant there would be no hungry, poor people in India---a model of social security of United States." The announcement of Congress President is politically significant in the run up for the ensuing general election. The Narendra Modi government at the Centre was also reportedly preparing to introduce a universal basic income (UBI) scheme. According to reports, the UBI scheme would transfer a certain amount into the bank accounts of citizens who are unable to earn an income. The BJP was desperately looking to sway the poor section vote bank as it had been facing a relentless Opposition onslaught over a slew of issues, including agrarian distress and unemployment. The party had suffered reverses in assembly polls held in three Hindi belt states in November and December. The debacle propelled the party managers to chalk out new strategy to influence voters.